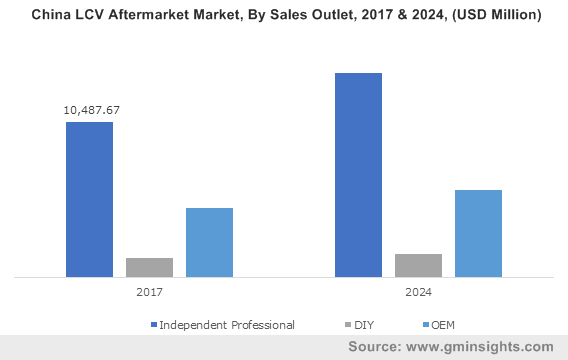 OEM « Global Market Insights, Inc.
With augmented safety protocols in the aviation industry and rising technological advancements, aircraft evacuation market is expected to depict remarkable growth trends in the coming years. The aviation industry being highly vital to today’s economic growth, this business sphere is gaining immense traction to eliminate or minimize costly and tragic consequences. If reports are to be believed, the year 2018 recorded over deaths of more than 534 passengers due to commercial aircraft accidents. The death toll has been much worse the previous years. As per a report by the European Transport Safety Council, more than 90% of the commercial airplane accidents are technically survivable. Pertaining to same, stringent government regulations toward implementing advanced safety systems while emergency landing. A report by Global Market Insights, Inc., claims that the aircraft evacuation market is expected to become a billion-dollar business by 2025. The report further claims that in terms of the product landscape, ejection seat is anticipated to witness remarkable investment trends over the coming years. Ejection seats are witnessing robust demand from the military and defense forces. Strict safety standards and inspection systems have provided a positive outlook for the product demand. An instance bearing testimony to the same is of the U.S. Air force’s contract with the leading aircraft evacuation industry players Martin Baker and United Technologies Aerospace Systems for the development and production of evacuation ejection seats. Moreover, the UK-based safety equipment and ejection seats manufacturer Martin Baker has also secured a new contract for delivering Mk18 ejection seat for its KAI’s (Korea Aerospace Industries) aircraft development program. The company will also be supplying escape systems for the KF-X, Republic of Korea Air Force’s new fighter. 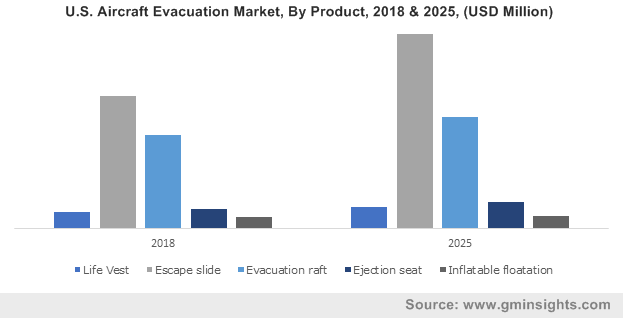 It is prudent to mention that besides ejection seats, escape slides segment is also to set to propel the product landscape of aircraft evacuation market. Technological advancements in slide materials, operation techniques, and durability have significantly enhanced the product demand in the recent years. In order to cater to the rising demand of advanced evacuation systems, several airline & carrier companies are deploying or replacing old structures with new systems for enhanced safety features. With the rising demand for air carriers across the globe, OEMs are turning out as lucrative growth avenues depicting phenomenal commercialization trends for aircraft evacuation industry expansion. The segment growth is attributable to its ability to provide replacement, maintenance, and technical services for aircraft systems. In 2016, an Estonia based aircraft maintenance company Magnetic MRO entered into a contract with Kazakhstan’s domestic flag carrier Air Astana to provide escape slide repair and overhaul requirements. The company added an escape slide evacuation workshop to its repair & maintenance services in 2014, as a part of a strategy to cater to the growing consumer base. The firm now boasts capabilities for Air Cruisers and Goodrich escape slides for Boeing aircraft types such as 757, 767,737 CL, and 717-200, as well as Airbus A320 Family aircraft. The OEM player also recently announced that it raised USD 9 million for acquiring one of its competitor and aims to expand rapidly in the competitive aircraft evacuation industry. Taking into account the geographical landscape, Europe aircraft evacuation market accounted for significant share, given the robust expansion in the defense and commercial sectors of the regional aviation industry. Asia Pacific is also another lucrative region witnessing growing investment trends from aircraft evacuation industry players, given the increasing regional air travel rate. According to a report by IATA, APAC regions is witnessing an annual expansion rate of over 5.5% in passenger traffic, and is thus attracting investors to set up facilities and provide aircraft services. 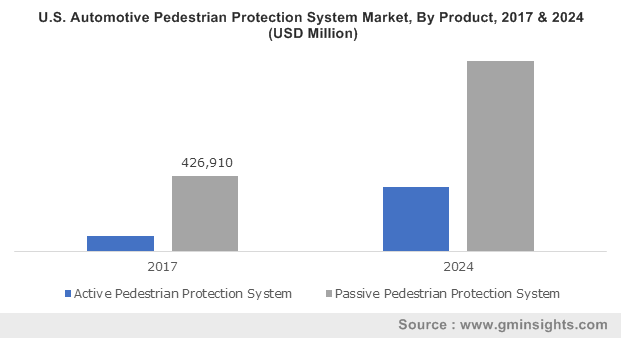 The progressive growth of aircraft evacuation market is further set to witness advancement in systems such as introduction of RFID-based life vests. 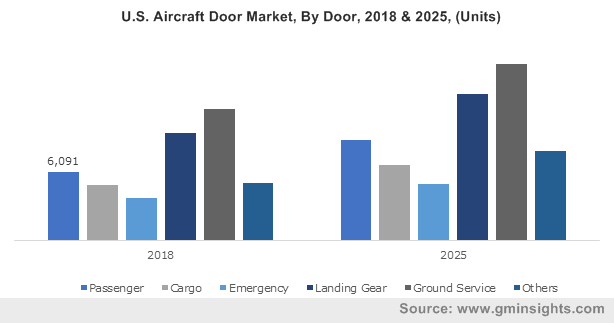 Additionally, with the rising penetration of top techs such as AI, blockchain, Internet of Things, and big data analysis, the global aircraft evacuation market is certain to traverse along a profitable growth graph in the ensuing years. This entry was posted in Aerospace and Defense and tagged Aftermarket, Aircraft Evacuation Market, Aircraft Evacuation Market Size, Civil Helicopter, Ejection Seat, Escape Slide, Evacuation Raft, Fighter Jet, Fixed Wing, Global Aircraft Evacuation Market, Inflatable Floatation, Life Vest, Military Helicopter, Narrow Body, OEM, Regional Aircraft, Rotary Wing, Wide Body. Over the recent years, the global aerospace landing gear market share has observed an exponential growth owing to a significant uptick in air passenger traffic and the consequent increase in the demand for lightweight aircrafts. Owing to the criticality of these subsystems, which support aircraft weight during landing and ground operations, the commercial airlines have focused on incorporating high-grade landing gears in the recent times. 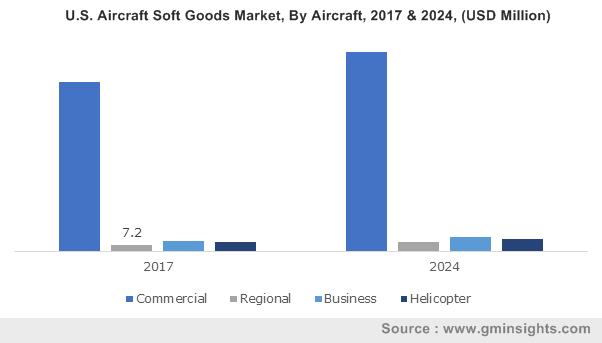 Moreover, the swift escalation in the number of commercial aircraft production across the world has emerged as one of the foremost factors to have contributed toward rapid growth of the aerospace landing gear industry. Elaborating further, the U.S. based Boeing for instance, delivered an astonishing 763 commercial airplanes in the year 2017. Reportedly, the aerospace behemoth surpassed its previous delivery record set in 2015. In this context, it would be prudent to mention that 2017 was the seventh consecutive year that registered a decent increase in the delivery of commercial aircrafts by foremost manufacturers. Apparently, the number of commercial aircraft deliveries stood at 1740 in 2017. This remarkable surge in the total fleet of the commercial airplanes, which was estimated to be around 31,000 worldwide in the same year, has been instrumental in establishing the prominence of commercial aircrafts in the aerospace landing gear market. 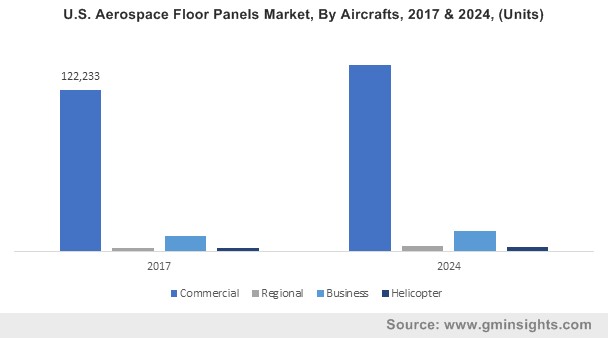 In fact, the commercial aircraft space is projected to be the major growth segment in the overall aerospace landing gear industry in the upcoming years. 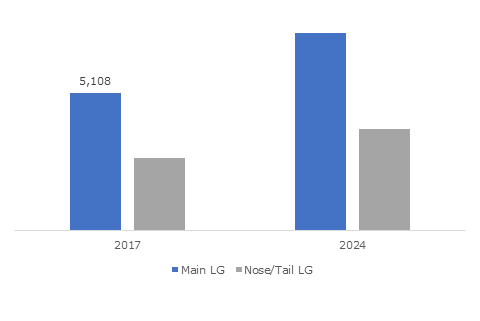 Incidentally, commercial aviation held over 58% of the aerospace landing gear market share in 2017 and will emerge as a dominant segment by 2024. Concurrently, it has been observed that there has been a gradual uptick in the number of collaborations being formed between firms operating in MRO (maintenance, repair and operations) industry and various commercial microsatellites & orbital transportation service providers. Needless to mention, these collaborations have invariably boosted the commercialization scale of the overall aerospace landing gear market in the recent times. The U.S. headquartered Triumph Group for instance, has recently teamed up with a systems integrator specializing in microsatellite services, Sierra Nevada Corporation (SNC), to provide landing gear system for the Dream Chaser spacecraft. In this regard, the agreement mentions that Triumph Group’s Washington based Integrated Systems business unit will work together with SNC to supply the main and nose landing gear to a lifting-body vehicle, the Dream Chaser. Reportedly, this spacecraft would be utilized to support NASA’s Commercial Resupply Services 2 project that is slated to resupply the International Space Station. The partnership is being increasingly termed as quite remarkable in the aerospace landing gear industry given that the contract further includes the supply of integrated actuation solutions for the landing gear and door systems which would be developed by both the firms. Speaking in the similar context, numerous dominant commercial and defense aircraft manufacturers around the globe have continued assisting airline operators to leverage exchange offerings of landing gears and overhaul of performing equipment as well. Powered with a robust global network of repair service centers, these aircraft manufacturers are well-positioned to lower maintenance time and provide reliable landing gear repair services to major airlines. To cite an instance of the same, Boeing had declared the launch of its new landing gear exchange programs in 2014 for Air Canada’s 777-200LE (Longer Range) and 777-300ER (Extended Range) airframes. As per the contract, the American aerospace behemoth had agreed to provide certified and fully overhauled landing gear shipsets for a total of 23 aircrafts belonging to the largest domestic and international airline in Canada. Apparently, such cost-effective offerings by prominent aircraft manufacturers have optimistically influenced and proliferated the aerospace landing gear industry space over the past few years. The prominent aerospace regulating authorities such as Federal Aviation Authority and Civil Aviation Safety Authority have laid out strict guidelines to deploy advanced technologies including Radio-Frequency Identification and wireless sensor network to enhance operational safety of airplanes. Furthermore, the increasing adoption of advanced landing gear systems across major airlines would impel product penetration, cite analysts. Driven by a rapid increase in commercial aircraft deliveries coupled with the burgeoning air passenger traffic, the aerospace landing gear market is slated to grow at an exceptional pace in the years ahead. In fact, as per a research report collated by Global Market Insights, Inc., the revenue portfolio of aerospace landing gear industry is estimated to surpass USD 21 billion by 2024. This entry was posted in Automotive & Transportation and tagged Aerospace Landing Gear Market, Aerospace Landing Gear Market Analysis, Aerospace Landing Gear Market Research, Aerospace Landing Gear Market Trends, Aerospace Landing Gears Market Report, Aerospace Landing Gears Market Size, Commercial Aviation, Fixed Wing, General Aviation, Main Landing Gear, Military Aircraft, MRO, Nose Landing Gear, OEM, Rotary Wing, Tail Landing Gears, Tail Wheel, Tandem, Tri-cycle.